Out after March 2012 and before April 2013. 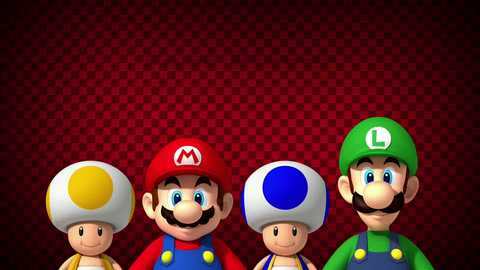 Nintendo has announced a new side-scrolling Mario game for 3DS. Nintendo boss Satoru Iwata described it as a "totally new side-scrolling action Super Mario in 2D". It's a "key title" for the Nintendo 3DS, and launches in the next fiscal year - at some point after March 2012 and before April 2013. The announcement came as part of a discussion of the Nintendo 3DS in 2012, and how it will continue its impressive sales momentum. Iwata highlighted a number of 3DS games set for launch this year, including Luigi's Mansion 2, Mario Tennis and Paper Mario, saying "we intend to release these various titles without any extreme interruptions". He added: "A number of titles unannounced from third-party developers will be available. "With the fulfilment of software, we are confident that we will be able to make the Nintendo 3DS active for the full year as the mainstream platform in the video game market." Iwata said the 3DS communication features, such as StreetPass and SpotPass, will be "increasingly attractive" as the handheld becomes more popular. Nintendo is increasing the number of places you can SpotPass to help. Nintendo also plans to "significantly" expand its digital business. The internet-connection ratio of the 3DS in Japan and the US is around 60 per cent, Iwata revealed - the highest among Nintendo's handhelds. The eShop is proving popular too. "We are still in the first stage, but we are building the foundation little by little to expand our digital business." More about New Super Mario Bros.
Defence justifies £600k scheme due to high street video game prices. More than three years after the devices were outlawed. Miyamoto took NSMB DS criticism "hard"
Plus lots more from the latest Iwata Asks.